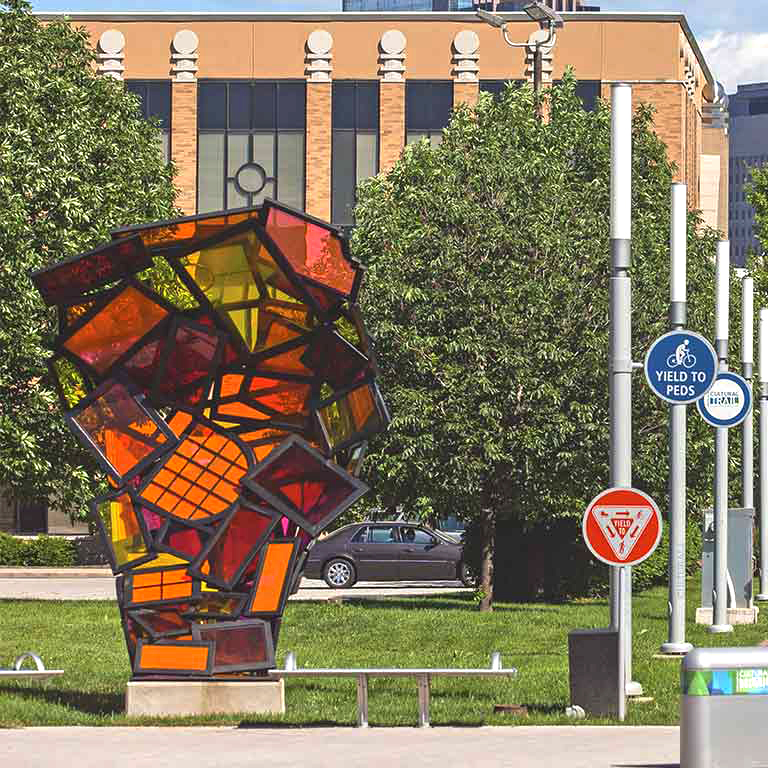 The Basile Center for Art, Design, and Public Life offers students the unique opportunity to contribute to the cultural vitality of Indianapolis and the surrounding region. Since 2005, the Basile Center has served as a creative think tank, connecting Herron talent with community partners. 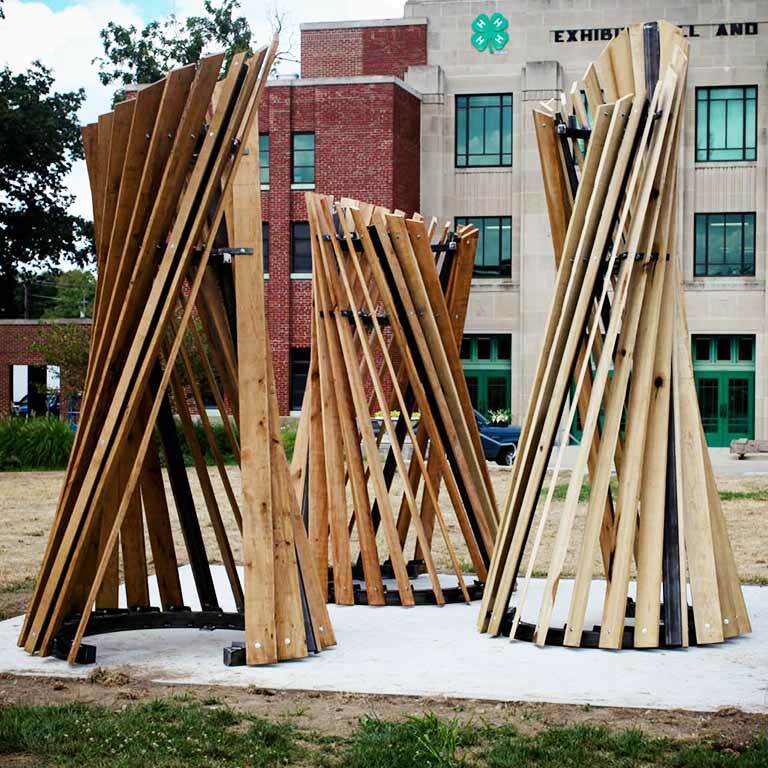 The result is a wide array of imaginative projects—from public art commissions to design concepts for products or services. By collaborating with businesses, nonprofits, healthcare facilities, communities, and government agencies, Herron students learn how to apply creative skills and ideas to solve problems in every industry and meet the demands of a constantly shifting global landscape. This community engagement is paired with academic curriculum, and dedicated faculty members who mentor students each step of the way. Herron’s commitment to collaborative learning and community engagement contributes to the cultural vitality of Indiana and enhances our state’s reputation as a place where innovation and creative thinking are valued. Students who participate in Basile Center projects learn about the importance of creativity in everyday life while becoming well-versed in the skills required to be a professional artist or designer. 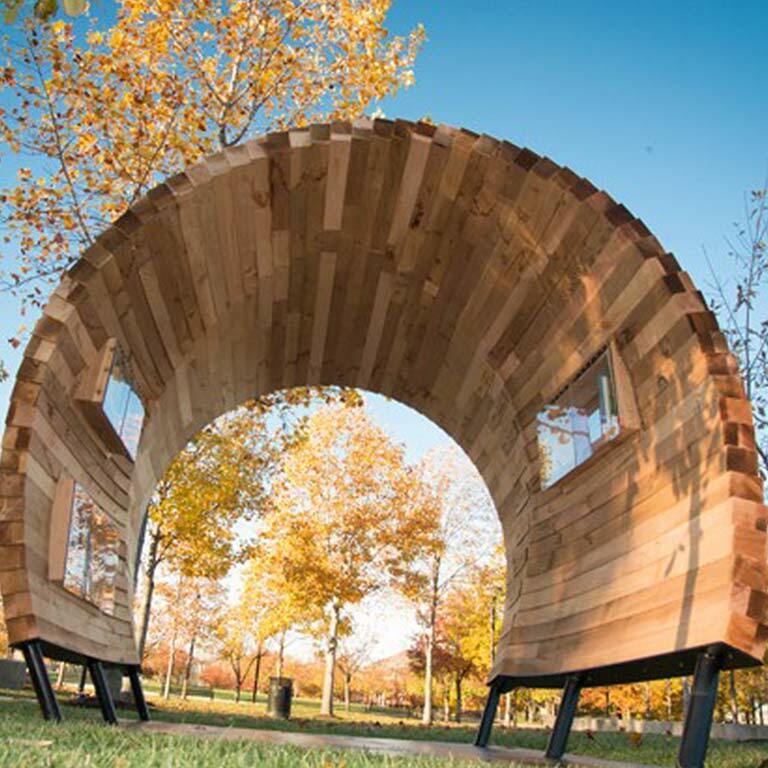 The Public Collection commissions Indiana-based artists to design unique book share stations, or lending libraries, that are installed in community spaces around Indianapolis. This public art and literacy project was developed to increase access to books and art. 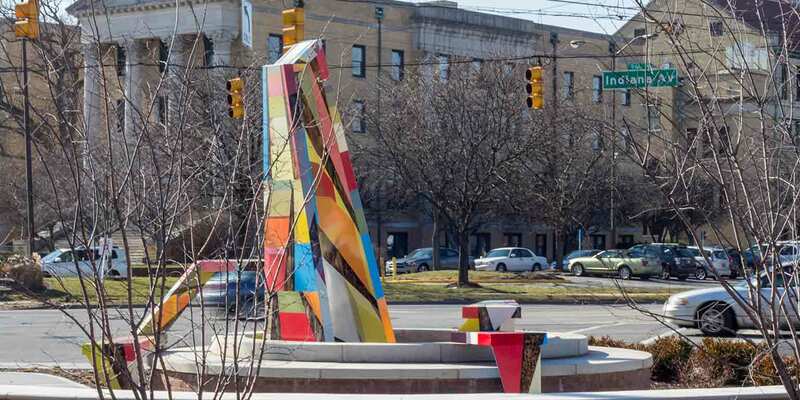 The project aims to improve literacy, foster a deeper appreciation of the arts, and promote social and educational justice in the Indianapolis community. 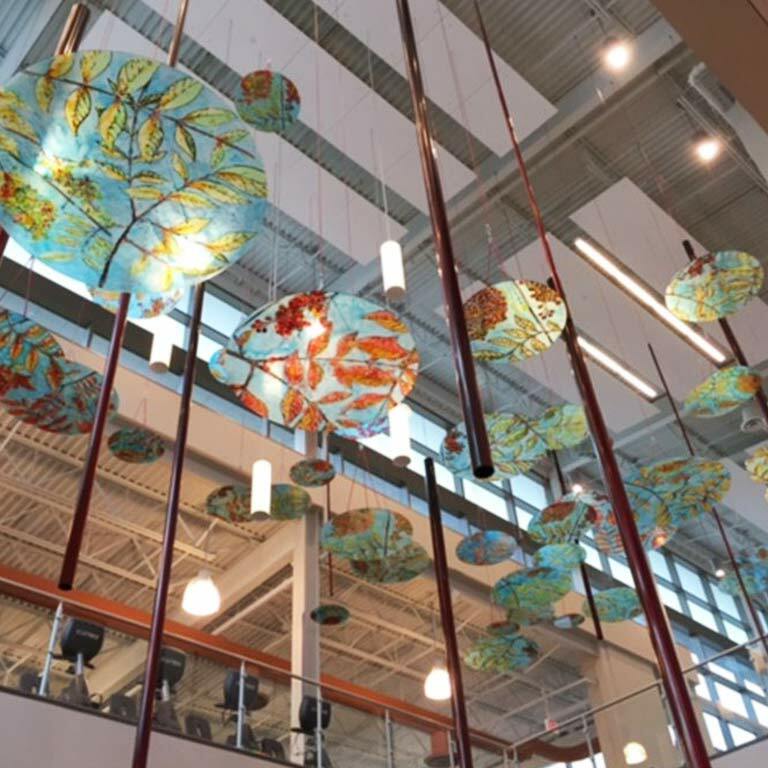 While finishing her graduate studies at Herron, sculpture student Stephanie Cochran created an installation for the atrium of the new YMCA at Cityway. Cochran’s pieces features dozens of colorful, transparent acrylic discs engraved with leaf designs that are reminiscent of fallen foliage floating on a river. To learn more about the Basile Center, submit a proposal, or get involved, contact the Center at basile@iupui.edu or by phone 317-278-9423.